“The Fence” was donated to the Anacostia Watershed Society by teenagers Aaron and Alana Richards, and launched on July 17, 2013. 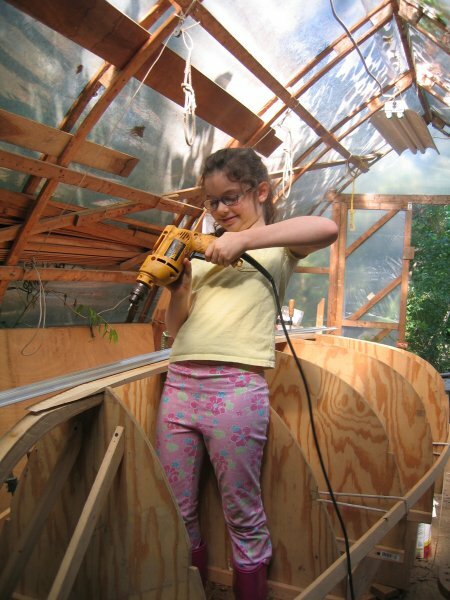 The rowboat had its unusual origins as a project between next-door neighbors. The Fields/Richards and Batson/Eatons shared an aging fence in Takoma Park, Maryland. Although they originally spoke of replacing it together, when the time came, the Batson/Eatons’ resources, with 3 kids in college, were needed elsewhere. 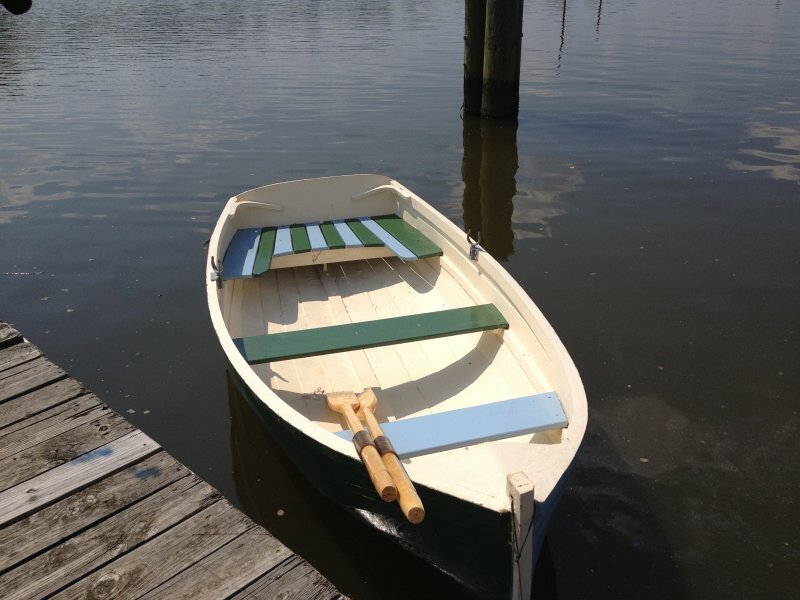 But they were so pleased with the replacement fence that Bob Eaton, a life-long boat builder, offered to build a rowboat with the two Richards children, then 7 and 9. Over the course of six or seven years, the three worked sporadically on the boat, finishing it the day Bob and his wife moved out of their house to retire to Maine (where he and his family are building a sailboat they plan to sail across the Atlantic next year). 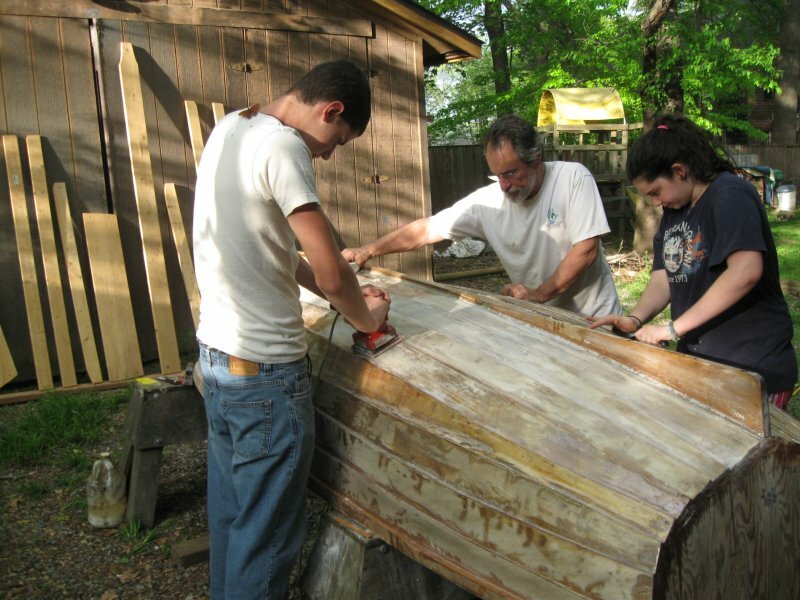 Aaron and Alana Richards decided to donate the boat to the Anacostia Watershed Society (AWS), where Aaron interned during the summer of 2012. The boat will be used as part of AWS’s environmental program to reclaim and restore Metro DC’s second river. “Although it took a long time to build, I’m so grateful we had such a unique and amazing opportunity,” said Alana Richards, now a 14-year old rising high school sophomore. The Richards teens and the AWS leadership and staff officially launched the boat on the Anacostia River on July 17, 2013. A local cable news show filmed the launch and conducted interviews of all involved, with the plan to air a piece on the donation and launch in July 2013. The Anacostia Watershed Society (AWS) is dedicated to cleaning the water, recovering the shoreline, and honoring the heritage of the Anacostia River and its watershed communities in Washington, DC and Maryland. Since 1989, AWS has worked to conserve and protect the land and water of the Anacostia River and its watershed communities through educational programs, stewardship efforts, and advocacy projects. AWS works to make the Anacostia River and its tributaries swimmable and fishable as required by the Clean Water Act. For more information about AWS, visit www.anacostiaws.org.